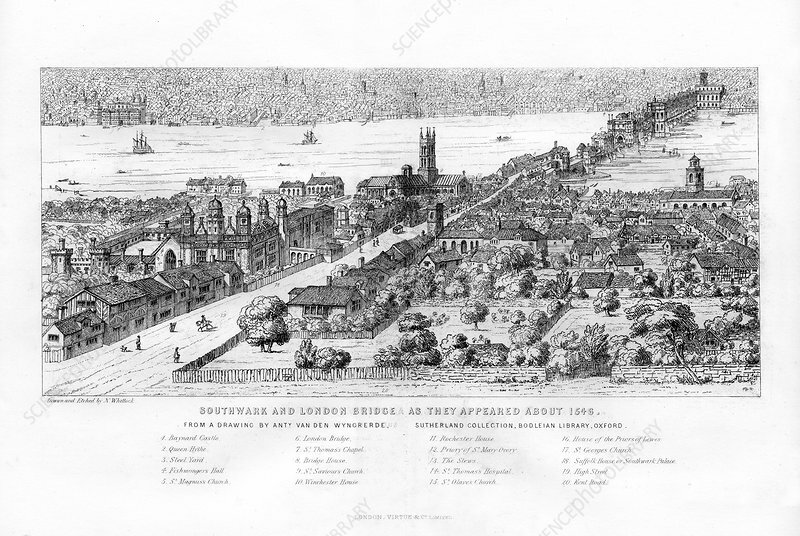 Southwark and London Bridge as they appeared about 1546', c1860. View of the South Bank and Southwark Cathedral, and the old London Bridge over the River Thames. Artist: N Whittock.